The Cheltenham Festival in 2008 was unusual insofar as the second day was cancelled due to high winds, forcing the Queen Mother Champion Chase to be run on the Thursday, along with the World Hurdle and eight other races. Friday, too, featured a nine-race card but, results-wise, the Festival wasn’t entirely unpredictable. Paul Nicholls, leading trainer at the Cheltenham Festival for the previous two seasons, was once again in the box seat in 2008. 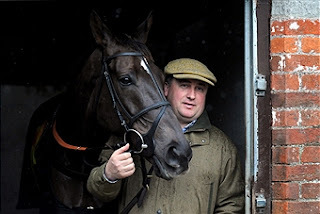 The Ditcheat handler saddled three winners, Master Minded in the Seasons Holidays Queen Mother Champion Chase, Celestial Halo in the JCB Triumph Hurdle and Denman in the Totesport Cheltenham Gold Cup, to become leading trainer at the Festival for the third year running. Ruby Walsh rode the first-named pair and was also victorious on Fiveforthree, trained by Willie Mullins, in the Ballymore Properties Novices’ Hurdle to retain his title as leading jockey. Master Minded was particularly impressive, readily drawing clear to beat the winner of the race the previous year, and favourite, Voy Pour Ustedes, by 19 lengths with Fair Along a further 16 lengths back in third. Other notable winners included Katchit in the Smurfit Kappa Champion Hurdle, Inglis Drever in the Ladbrokes World Hurdle and Cousin Vinny in the Weatherbys Champion Bumper.